In January this year, Vuselela Energy welcomed three new Engineers in Training. The new Engineers in Training work at our multi-award winning clean energy power plant, Eternity Power, near Rustenburg in the North West province. We welcome Khungeka Sidlai, graduate of the Cape Peninsula University of Technology (CPUT); Philiswa Mdletye, a University of Johannesburg graduate and Sisipho Mntonga, also a graduate of CPUT. 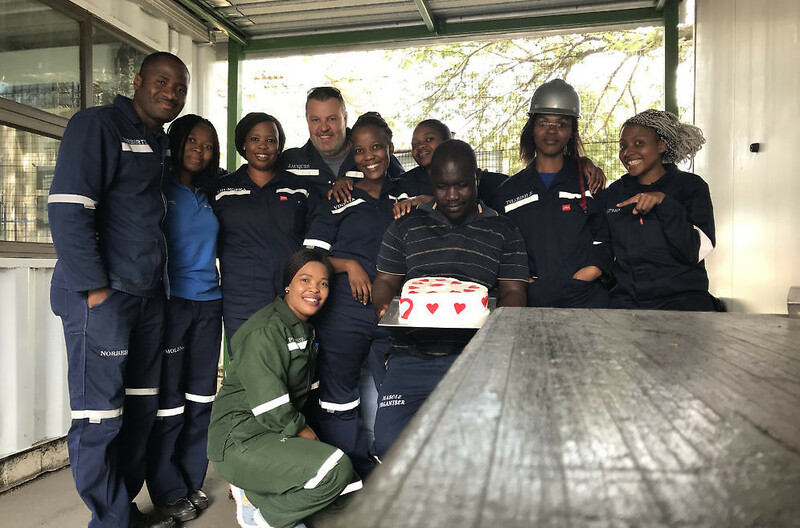 This photo was taken on Valentines Day and features most of the Vuselela Energy team (from left to right) Norbertin Nkoghe Eyeghe, Gomolemo Tlalang, Khungeka Sidlai, Jacques Malan (back), Vinetia Taffa, Philiswa Mdletye (back), Manuel Masole, Thabisile Mwelase and Sisipho Mntonga.